It is a spiral layered pastry with almond paste. It is also popular in other countries of the Maghreb (Algeria and Tunisia). 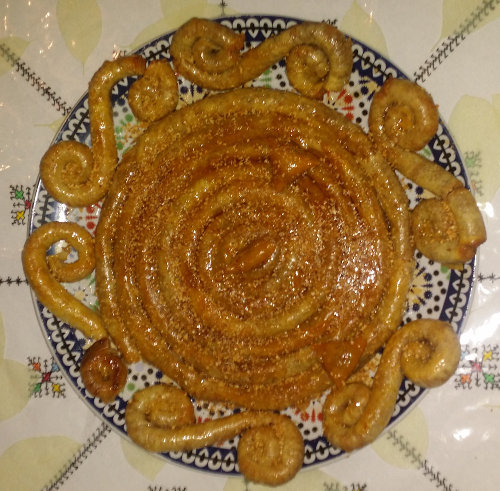 Because of its spiral shape and method of making it some specialists think that the origin of "Mhancha" is from the Ottomans. This cake looks very similar in the composition to « #Briwate# » almonds. However, the shape and the cooking method are differents. The "Mhancha" is baked while « #Briwate# » are fried. The topping of honey, classically associated with almond and pastry sheets is optional in this dish. 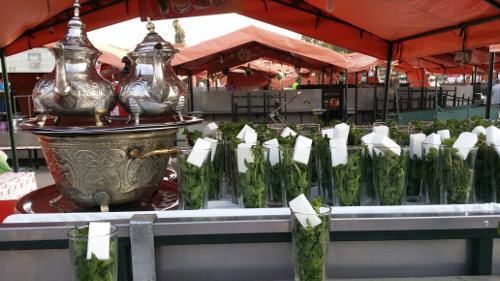 Moroccans like lamb so much that simply steaming it is considered as an exceptional dish in the local culture. This preparation is the "Choua" ! !